The last LMVG workday for the year will be on Sept 29 at Laurel Mountain - more details here. 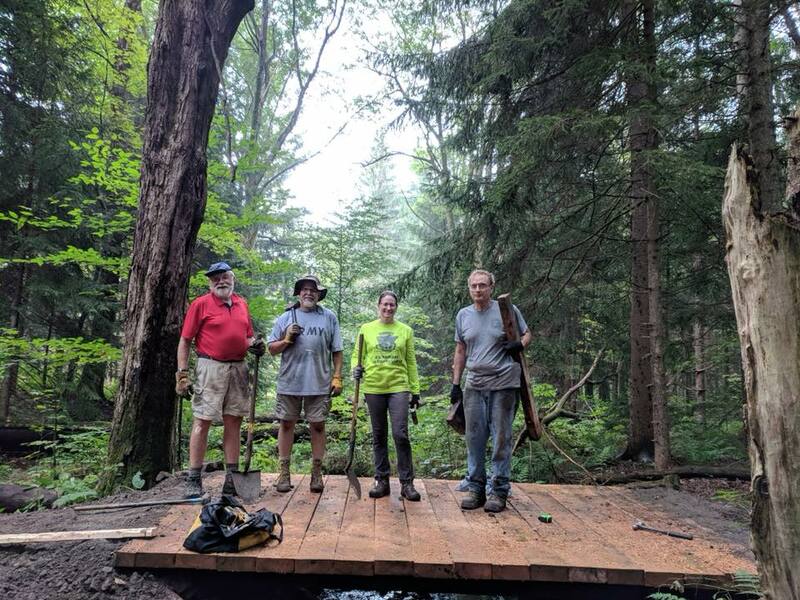 PACCSA volunteers Bob Mazur and Judi Speck joined the Laurel Mountain Volunteer Group workday at North Woods in August, and helped to replace a bridge on the Lookout Loop. Thanks to Rachel Mahony for the photo.